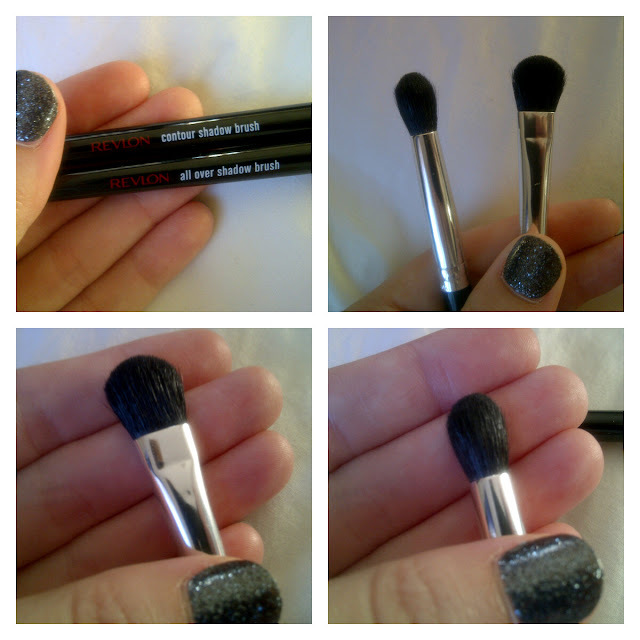 Revlon Eyeshadow Brushes / Gee Whiskers! I bought these Revlon eyeshadow brushes on sale in a pharmacy for only R35 each. These brushes have soft, synthetic bristles are are excellent at picking up eyeshadow and even better at transferring them to you eyelids. I love the long handles that allow you to have full control over the brush and the bristles feel nice and soft against your skin. The bristles are held tightly by the metal at the end of the handle and I haven't experienced any bristles coming loose. These brushes are easy to clean so maintenance of them will be very easy and I am certain these will last incredibly well. I have quite a collection of brushes but these are definitely my current favourites.